A Johns Hopkins University School of Medicine study of insurance coverage of more than 28,000 people with HIV concludes that a decades-old program that offers free medical care remains a critical necessity despite the availability of coverage under the Affordable Care Act (ACA). Prior to the launch of the ACA in 2014, the Ryan White HIV/AIDS Program — named for the Indiana teenager initially stigmatized after a blood transfusion gave him AIDS — provided access to HIV care and services for hundreds of thousands of low-income, uninsured and underinsured people in the United States. One theory was that the ACA, through expanded Medicaid and Qualified Health Plans, would eventually make it possible to phase out the medical safety net provided by the Ryan White HIV/AIDS Program, says HIV specialist Stephen Berry, M.D., assistant professor of medicine at the Johns Hopkins University School of Medicine and the lead author of a report on the study appearing online in the journal Clinical Infectious Diseases in May 2016. But the study found that cutbacks in the program would cut off care for many. This is largely because some states did not expand Medicaid and because transition to Medicaid in states that did expand was lower than might have been expected. Approximately 500,000 people across the U.S. receive at least one form of support from the program (primary or secondary coverage of medicines, provider visits or clinic services, etc.). A subgroup, approximately 100,000, has no other health care coverage and relies completely on the program for all outpatient care and medications. While true cost varies, this set of services often costs up to $15,000 per person annually. A large chunk of those dollars are spent on medications, says Berry. For this study, the Johns Hopkins team made use of the HIV Research Network, a consortium of HIV clinics across the country that, among other things, collects insurance information, making it possible to assess changes to insurance coverage before and after the ACA began. The study focused on people who rely completely on the Ryan White HIV/AIDS Program for insurance coverage. Specifically, the team compared insurance coverage for HIV provider visits for 28,374 patients at 10 of its clinics between 2011 and 2013, or pre-ACA, with the first six months of 2014 after the act went into effect. Clinics included those in three states that expanded Medicaid (a measure adopted by 26 states) — California, Oregon and Maryland — and two that did not — Texas and Florida. Additionally, four of the clinics were located in New York, which expanded Medicaid much earlier, in 2001. Berry says that as expected, participation in the Ryan White HIV/AIDS Program showed little change pre- and post-ACA in the nonexpansion states of Texas and Florida, with 52 percent of all patients still relying on the program for provider coverage in 2014. While reliance on the program for provider coverage did drop in California, Oregon and Maryland (the states that expanded Medicaid) — from 28 to 13 percent overall — that change fell below expectations. “A lot of people hypothesized that reliance on Ryan White would go down to maybe 5 percent following the implementation of the ACA,” Berry says. In an accompanying commentary published in conjunction with Berry’s study, the authors Ellen Eaton and Michael Mugavero from the University of Alabama at Birmingham caution that the Johns Hopkins study only included data for the first half of 2014, when many individuals were still struggling to sign up for the ACA. But the analysis by Berry and his team showed that even in New York, which had rolled out an expanded Medicaid program years before the ACA, reliance on the program for provider coverage has remained close to 20 percent. Moreover, Berry says newer data — presented at the Conference on Retroviruses and Opportunistic Infections in Boston this February — show that the pattern seen in all of the study sites had not changed by the end of 2014 compared to the first half of the year. Even when people do leave the Ryan White HIV/AIDS Program for provider visit coverage, Berry says the program remains crucial for primary and secondary medication coverage and for clinic wraparound services not generally covered by Medicaid or other ACA Qualified Health Plans, such as provider support for long visit times, extra nursing staff, counseling and case management. Absent such services, Berry says, people are more likely to skip their medications, which can fuel resurgence and transmission of the disease. 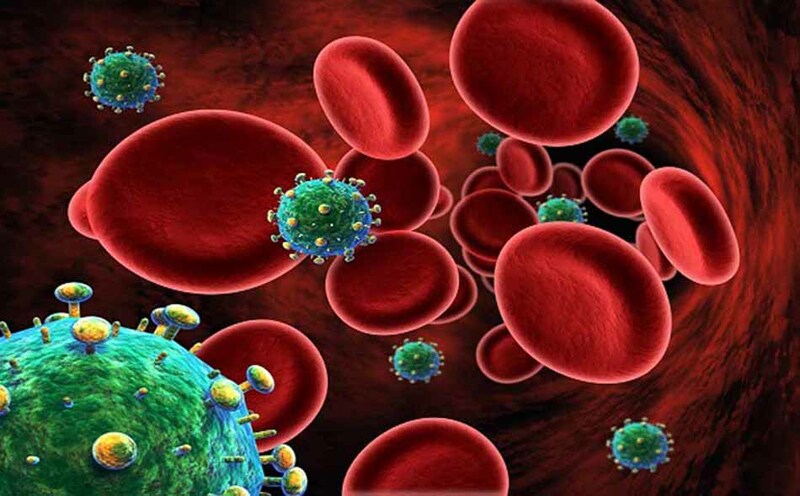 Additionally, stopping HIV medications, even for a few days, can lead to permanent resistance against one or more drugs. The HIV Research Network is relatively unique in capturing insurance information among a large number of people engaged in HIV care in sites across the nation. The research team plans to use the research network to confirm trends in coverage for HIV provider visits in 2015 and 2016, and to assess whether Medicaid and other forms of coverage are associated with changes in health outcomes, including rates of HIV viral control through medication use and hospital admissions.